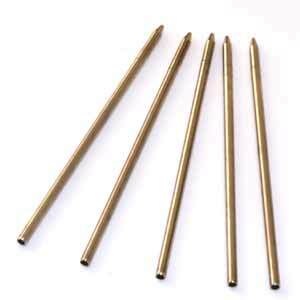 0.7 2B pencil lead refills for slimline, comfort and streamline. packs of 20. Fits the classic elite roller ball pen kit. Fits the Pro Click Pen and can replace the Parker Style refill if you would rather write with a gel pen. Mini refills fit the following kits...Credit Card, Teacher Pen, Mini Bullet Pen, Bullet Pocket Pen, and others. Package of 5.